We love looking at the most unique vehicles available here in our showroom, and today we’re taking a look at a true classic that’s beautiful and vintage and can no longer be purchased new. The vehicle in question is a 2000 Bentley Azure Convertible, which was discontinued in 2010 after 15 years on the market. Its beautiful design is captivating, while its engine impresses each time it takes to the road. Powered by a 6.75L turbocharged V8 engine, this Bentley Azure Convertible is capable of generating a whopping 400 horsepower. Its engine, tethered to a rear-wheel drive system and 4-speed automatic transmission, doesn’t allow for much fuel economy but ensures an enjoyable, fun-to-drive experience each time you slide behind the wheel. Furthermore, it’s packed with some pretty incredible features both inside and out. Some of these might not sound like much today, but they were a big deal at the turn of the century. These features include things like power locks and windows, a ventilation system, electronic traction control, power soft top roof, an engine immobilizer, halogen headlamps, variable intermittent windshield wipers, a 6-disc Alpine CD Changer audio system, 8 speakers, ZR-speed tires and much more. This incredible convertible will ensure that you drive around town in style, with the added benefit of feeling the wind in your hair. 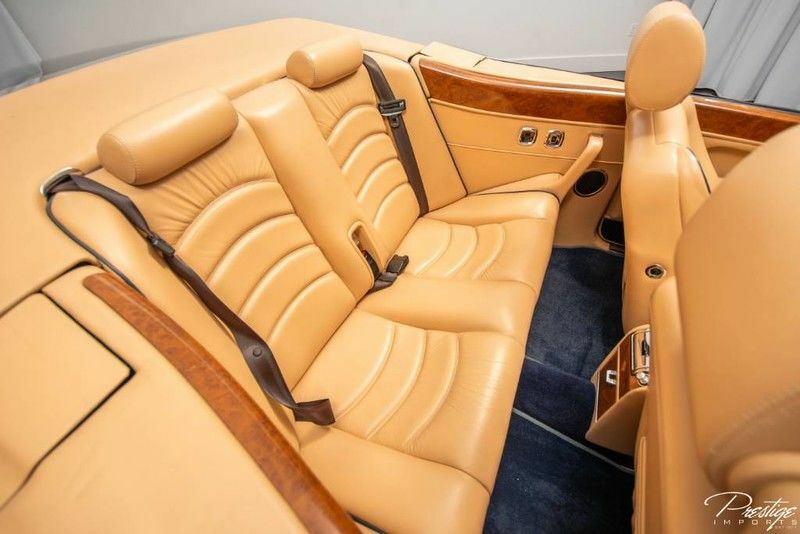 If you think you might be interested in making it your own, be sure to get in touch with us right here at Prestige Imports in North Miami Beach FL. 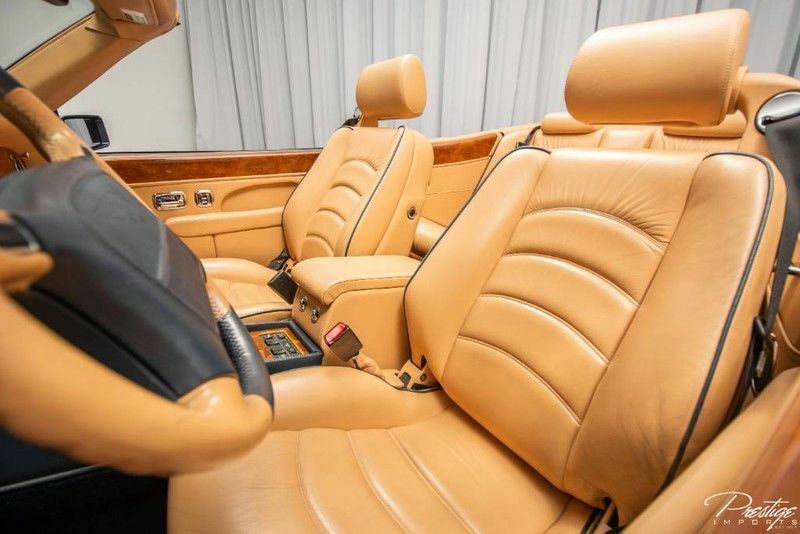 We cannot wait to see you in the driver’s seat of a brand-new vehicle, whether it be this 2000 Bentley Azure Convertible or something else. So don’t hesitate to give us a call. This entry was posted on Wednesday, October 24th, 2018 at 2:26 pm	and is filed under Bentley. You can follow any responses to this entry through the RSS 2.0 feed. You can skip to the end and leave a response. Pinging is currently not allowed.